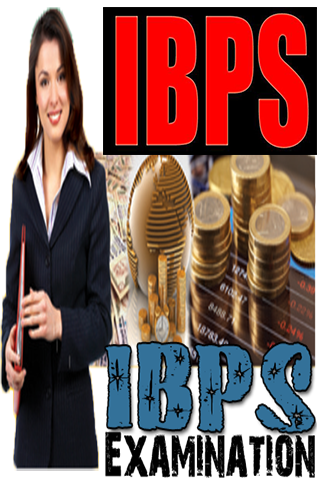 Institute of Banking Personnel Selection is an autonomous agency in India, which started its operation in 1975 as Personnel Selection Services In 1984, IBPS became an independent entity at the behest of Reserve Bank of India and Public Sector Banks. IBPS is envisioned as self-governed academic and research oriented Institute, with a mission of enhancing human-resource development through personnel assessment. 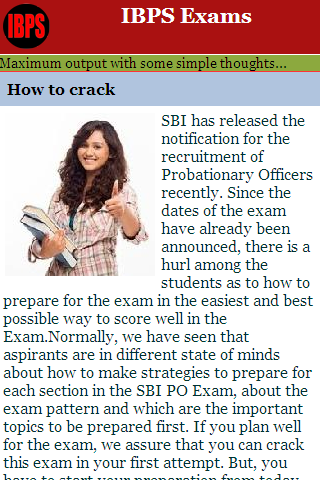 In 2011, IBPS announced a Common Written Examination for the selection Officers and Clerks in Indian banks. 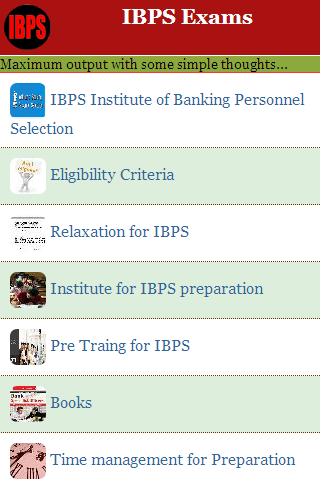 IBPS CWE is now mandatory for anyone who seeks an employment in 20 public sector and Regional Rural banks.